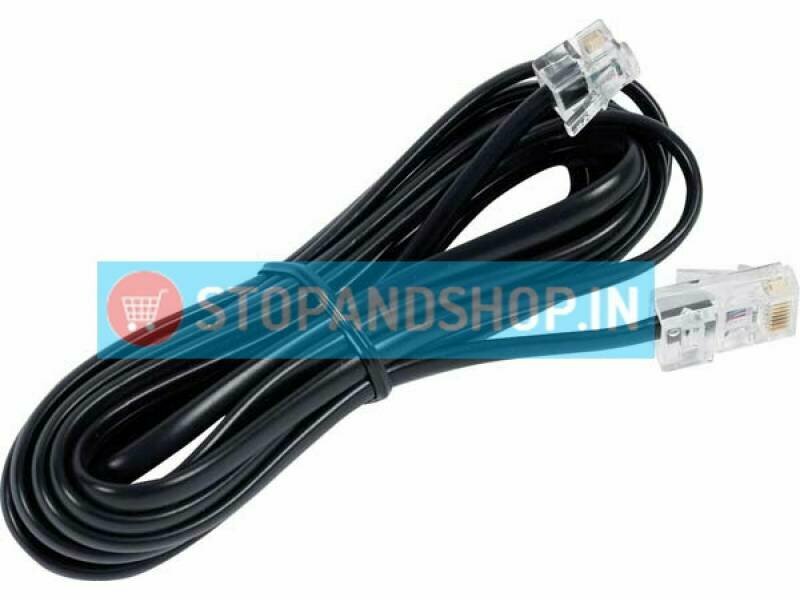 Telephone Cable (RJ-11 to RJ-11) for Cordless Phones, Telephones, ADSL Modem, Router, EPABX (6P2C for 1 telephone) length=approx 1.5mts. Machine Crimped for use with Telephones, Modems and Fax etc. RJ 11 connector plugs on both sides. For 3mtrs, 5mtrs and 10mtrs length cables please choose from the Available Options on the page.